People who are skeptical of spa treatments often use the mud bath as an example of a ridiculous extravagance that's a waste of time, money, and comfort. But new research has found that this might not be such an absurd practice after all. Humans have used mud and clay since the beginning of time, in the absence of modern medicine, to do everything from enhancing relaxation to staunching bleeding wounds. Now researchers at Arizona State University (ASU) are starting to understand just why this was such a good idea. It turns out that certain kinds of clay are actually highly antibacterial. Bacteria need iron to survive. And some clays contain iron. But they also contain aluminum. The bacteria open their cell walls to let in the iron they need to survive, but the aluminum then steps in and essentially holds the door open. A flood of iron then pours into the cell — way more than it actually needs. Then the iron begins to oxidize, killing the bacterial cell. This is a process that poisons the bacteria. This discovery came about when a researcher heard about a particular green clay found in France. A French philanthropist was familiar with its properties from her childhood, and she took some to Africa. There she documented its ability to cure Buruli ulcer, which is a dangerous flesh-eating skin disease. The researcher, Lynda Williams, a clay mineral scientist at ASU, tried to track down this clay, but she couldn't find any. So as we so often do in this day and age, she turned to the Internet. She began purchasing and systematically testing clays available for sale that were purported to have healing properties. As you might expect, most of these samples were ineffective. But she was able to identify one contender: a blue clay found in the Oregon Cascades. This clay was highly antibacterial, able to fight a wide range of pathogens. Most significantly, it proved effective against bacteria that have developed resistance to antibiotics, including methicillin-resistant Staphylococcus aureus (MRSA). This is great news, as researchers have been searching for options in this fight against antibiotic-resistant bacteria. And clay that may have similar properties is common throughout the world. More research is needed before we'll know how to best harness the effects of clay, but studying its mechanism could lead to better treatment options for people infected by these pathogens. Who knows? 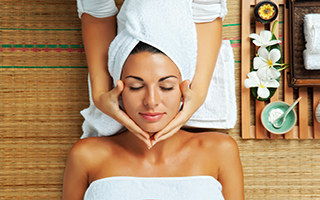 Someday you may end up getting a hospital cure that feels more like a spa treatment!